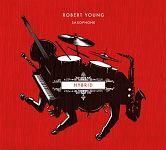 In his debut album, saxophonist Robert Young performs the music of Mischa Zupko, Baljinder Sekhon, in addition to the premiere recordings of works by David Heinick, Tim Sullivan, and Gregory Wanamaker. Robert Young joined the faculty of the University of North Carolina School of the Arts in the fall of 2016. Dr. Young previously held teaching positions at SUNY-Potsdam's Crane School of Music, Wichita State University, Albion College, and the Ann Arbor School for the Performing Arts. In the summers of 2007-2010 he was on the faculty of the M-Pulse Saxophone Workshop held at the University of Michigan where he taught with renowned professor, Donald Sinta. Dr. Young holds graduate degrees from the University of Michigan where he studied with Donald Sinta. At the University of Michigan, Dr. Young also studied jazz saxophone with Dr. Andrew Bishop and was a recipient of the Lawrence Teal Fellowship. His undergraduate study was earned from the University of South Carolina in saxophone performance where he studied with Dr. Clifford Leaman. As a performing artist, Young has collaborated and performed with many celebrated artists and ensembles such as the Detroit Chamber Winds and Strings, Chris Potter, Ravi Coltrane, Uri Caine, The Crossing, and PRISM Quartet. As an active soloist and clinician, Dr. Young has appeared in residence as a guest at several institutions across the country. 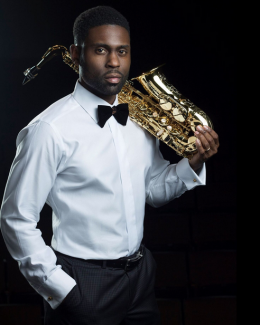 He has been invited to teach classes for the saxophone studios of The University of North Texas, University of Michigan, University of Missouri-Kansas City, University of Massachusetts-Amherst, and Pennsylvania State University. Robert Young is endorsed as a Conn-Selmer artist, and plays Selmer (Paris) saxophones and mouthpieces exclusively. He is also endorsed as a D’Addario Woodwind artist and plays exclusively on D’Addario Reserve saxophone reeds.